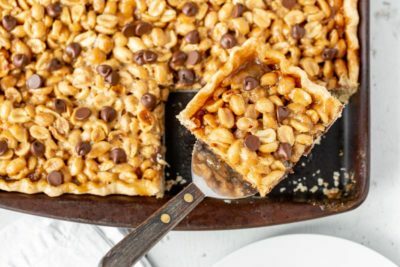 Ultra-Nutty Chocolate Peanut Slab Pie – chewy, crunchy, sweet and chocked full of roasted peanuts, our easy slab pie makes enough to serve a hungry crowd! Slab pies really are a thing, especially around the holidays. Typically made in a rimmed baking sheet, they’re the perfect dessert for holiday buffets, family extravaganzas and potluck suppers. With a little creative adaptation, you can make just about any kind of pie into a slab. 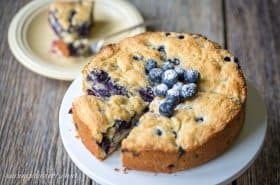 To make it super easy, this pie is made with two refrigerated ready-to-bake pie crusts but you can use your favorite double crust pastry recipe if desired. 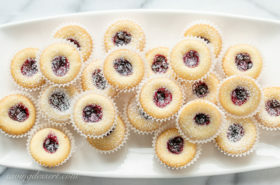 A shortbread crust would also be great here too. For the filling I use a combination of salted and unsalted roasted peanuts. The salty bite really plays well against the chocolate and the silky, buttery, chewy filling. This is a sweet dessert so be sure to cut the pie into small bars. It keeps well at room temperature or refrigerated for longer storage. Let’s Get Baking! What Sweet Treat Will You Serve at Your Next Party? The holidays are sneaking up on us and before you know it holiday treats will be coming out of the oven to share with family, friends and neighbors. I depend on great ingredients for my best baked goods, like our trusted Karo® Corn Syrup. Made with real vanilla and no High Fructose Corn Syrup, Karo® Corn Syrup delivers a smooth, amazing texture with balanced sweetness that lets the true flavor of other ingredients shine through. It’s the perfect base for our Ultra Nutty Chocolate Peanut Slab Pie! 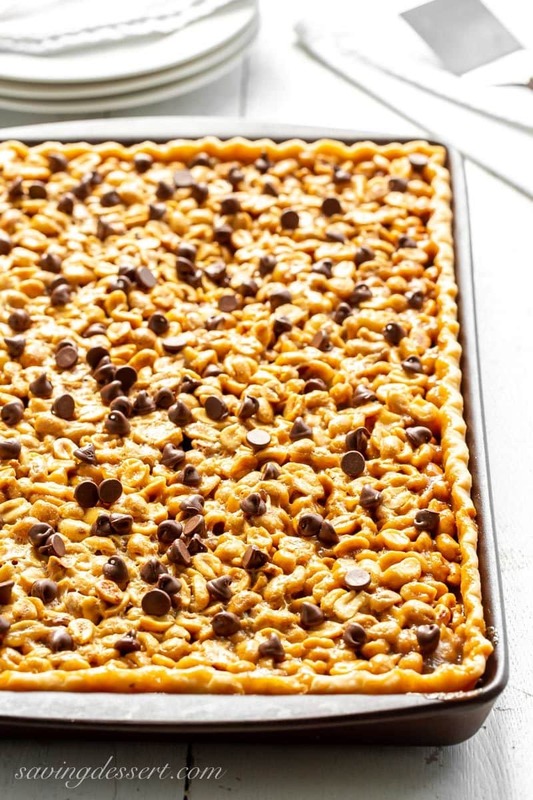 Karo® Corn Syrup does not overpower the peanut flavor but works beautifully to softly bind it all together without creating a hard or difficult to bite treat. 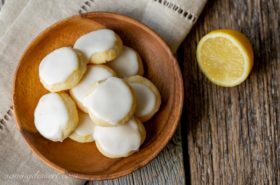 Whether you’re a professionally trained chef or home baking enthusiast, you can rely on Karo® Corn Syrup for its quality and consistent performance. This rich and delicious Ultra-Nutty Chocolate Peanut Slab Pie is a great dessert to make when you need to travel. Be sure to let it cool completely, then cut into bars and stack in layers separated by wax paper. No matter how you cut it, you should be able to get at least 30 to 36 bars from one recipe. 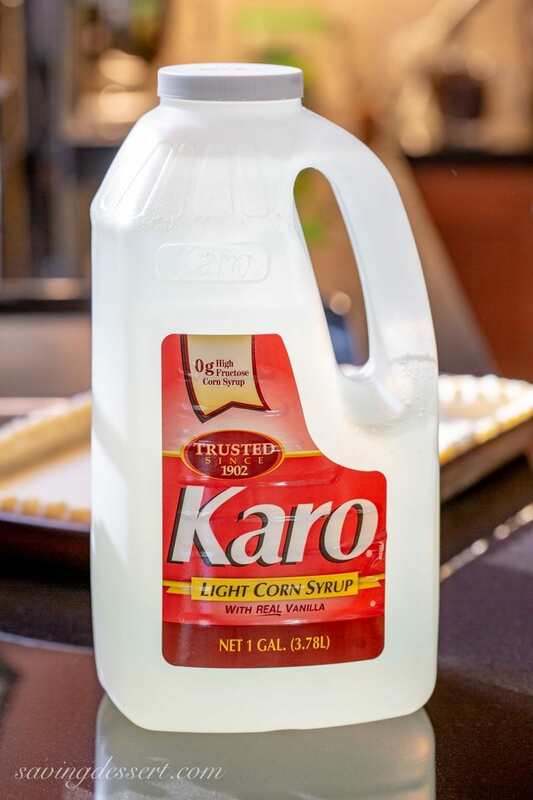 Don’t forget to stock up on Karo® Corn Syrup next time you head to the market. It’s not just for holiday baking! 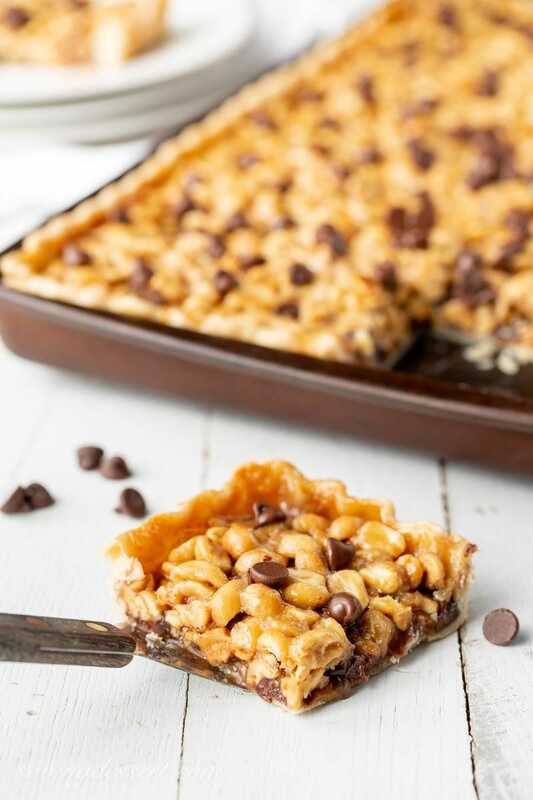 Karo® Corn Syrup is a versatile ingredient that perfects anything from delicious English Toffee, caramels, Pie, ice cream and scotcheroos too! It’s also the key to no-bake treats like our tasty Bourbon Balls, or terrific sticky cinnamon rolls, sauces and glazes as well. This affordable natural aluminum commercial bakeware is made of pure aluminum which will never rust for a lifetime of durability. It produces evenly browned baked goods and bakes consistently due to aluminums superior heat conductivity, The reinforced encapsulated steel rim prevents warping. 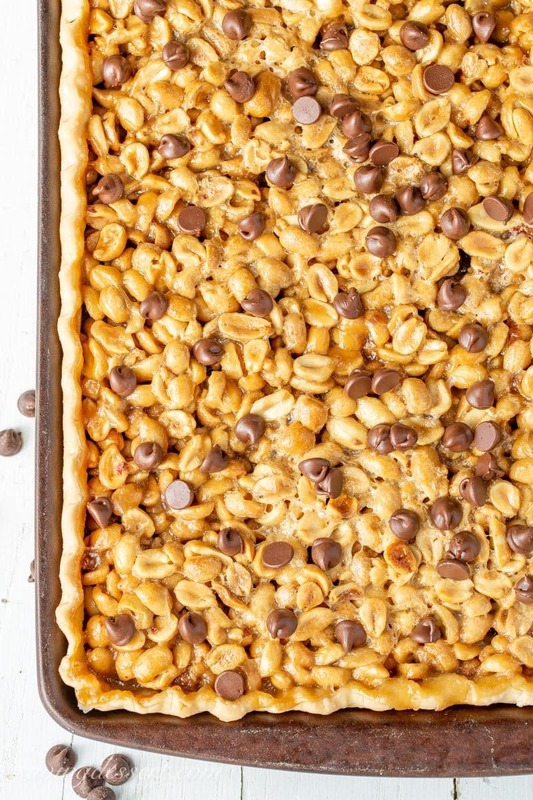 Chewy, crunchy and sweet, and chocked full of roasted peanuts our easy slab pie makes enough to serve a hungry crowd! Adjust the oven rack to the lower middle position. Preheat oven to 350F. Place a large sheet of foil under the rack in case the pie bubbles over. Lightly flour a clean work surface. Unroll pie crusts and stack on top of each other. Use a rolling pin to combine crusts into a 17 x 12-inch rectangle. Roll the pastry around a rolling pin and then unroll over a rimmed 15 x 10-inch sheet pan; fit to the pan, fold under the edges and crimp. Refrigerate while preparing filling. In a large mixing bowl whisk together the brown sugar, KARO syrup, melted butter and vanilla until combined. Add the beaten egg and whisk again until smooth. Fold in the peanuts with a spatula until all nuts are evenly coated. Remove the crust from the refrigerator and sprinkle with 3/4 cup of the chocolate chips across the entire surface. Gently and slowly pour the peanut filling mixture evenly over the chocolate chips. Gently move the filling around with a fork to fill the corners, and make it level. Bake for 25-30 minutes or until the topping is bubbling across the entire surface and the crust is lightly browned. Remove from the oven and let the pie rest for 5 minutes or until it no longer bubbles. Scatter the top with the remaining chocolate chips. Cool completely in the pan then slice and serve. If you don’t have a 15x10-inch jelly roll pan, use a pan similar in size. Roll the pastry crust out to 2-inches larger than your pan, all the way around. Omit the chocolate chips if desired. We do not recommend milk chocolate chips for this pie as it’s already sweet. Bittersweet chocolate chips work best. Use unsalted peanuts if desired, but sprinkle with sea salt after the pie is cooled. The pie is best with a little saltiness to balance the sweetness. 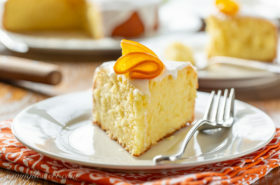 Now this is my new favorite dessert! Peanut and chocolate are the best combo! Love salty peanuts combined with rich chocolate. Such a great combo of flavors! This pie is terrific — loads of flavor, and easy, easy, easy. Good stuff — thanks. Thanks John – it is a terrific pie. Just make sure you have friends around to help you eat it! Oh my, if I had your slab pie in front of me I would eat a lot. It looks so yummy, it’s dangerous. Woo hoo, Tricia! I would love every little calorie in this slab pie. I’ve never heard of “slab” pie but have eaten many of them ~ what we call “slices.” A crust with peanuts and chocolate, oh my, sinfully delicious! Hi Pam – I’ve seen the apple slice “slab” pies – and always wanted to try one. This is almost like a PayDay candy bar with a crust! It’s very good and absolutely sinfully delicious! These are the ultimate treat in my book. Love the nuts and chocolate together! I agree Julia – thanks! OH this slab is speaking to me! Love the chocolate and peanut combo! Thanks Taylor! It’s great for a party for sure. Who can resist salty peanuts and delicious chocolate? Not me! Lots of nuts 🙂 Bet it’s delicious and addictive! This looks amazing Tricia! And I’m so happy to learn that there is no high fructose corn syrup in Karo, yay! I know – these days everything has HFCS in the ingredients – so Karo makes me happy! Thanks Sue – was so happy Ed took these to an office party so I didn’t have to eat them until they were gone 😉 I would serve this for any event – so delicious! Chocolate and nuts are one of my most favorite dessert combinations! 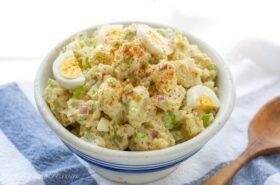 This looks easy and so delicious to make, Tricia. Great fall dessert! Yes indeed Larry – and especially when it’s warm – yum! Wow! What a fabulous treat! I love slab pies like this. So easy and great for feeding a crowd. Perfect for the holidays.